3/22/2015Share this story on Facebook! It's a rite of passage for students to jump in the Dillingham fountains before graduation. Read more about Senior Splash. 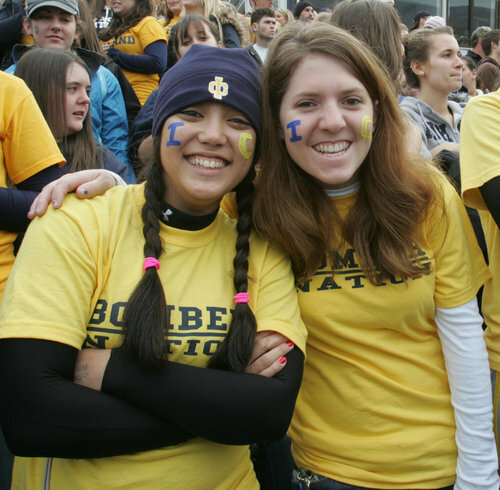 Ithaca College takes on SUNY Cortland in a football rivalry that dates back to 1959. Read more about Cortaca. There's apples galore and delicious baked goods at this three-day celebration that's been going on for 33 years. 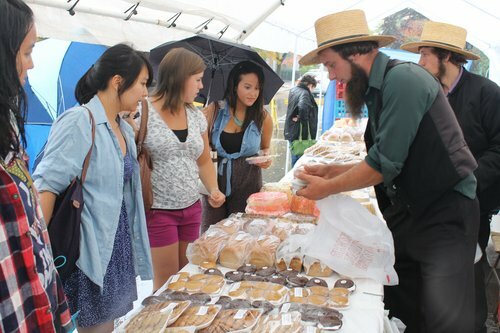 Read more about the Apple Harvest Festival. 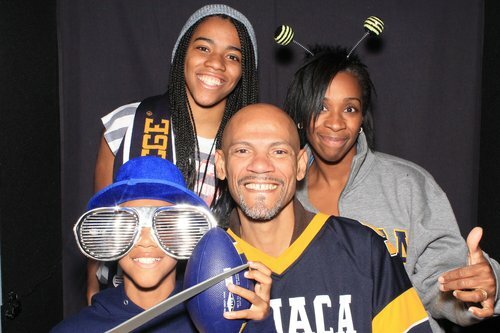 Students and their families strike wacky poses in a photo booth during family weekend. 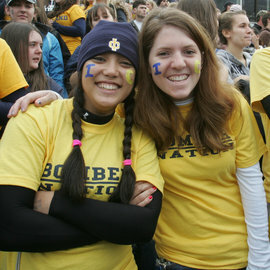 Read more about Family Weekend. 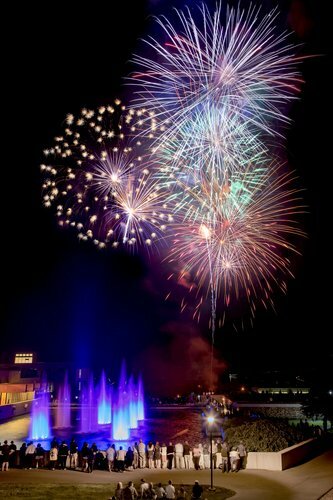 Students and their families gather to watch fireworks in celebration of their graduation each spring. Read more about Commencement. 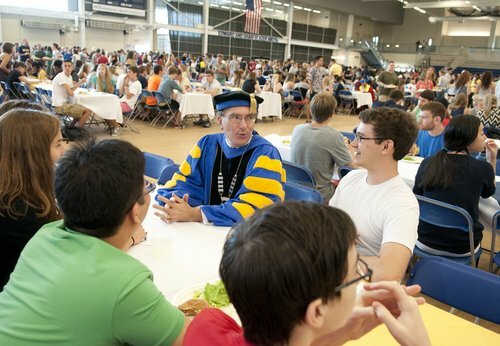 Incoming students can get to know the president at the beginning of each school year during Convocation.